Traveling in your own private aircraft is just as fast and efficient as it is with scheduled flights, yet much more flexible since the aircraft is at your sole disposal. Furthermore, the interior exactly fits your taste. On the other hand, buying your own aircraft is a huge investment; one that has to be well-thought over. We have compiled the most important questions for you. Are there alternatives to buying a private aircraft? Indeed there are. Which alternatives there are and whether they are worth considering depends on your needs and requirements – and on the yearly amount of hours you spend on private aircrafts. On-demand charter flights always conform to your specific needs. You choose the aircraft type and model so that you find the best fit for you. For each occasion, flight route or the number of passengers you can choose a different model and stay flexible. There may be restrictions during peak times, in which the desired aircraft is not available. A good charter operator, however, will make sure that you are able to get the jet you want independently from the season or the time of day. Charter flights are most worthwhile if your flight behavior cannot be generalized, for example if the route and/or the number of passengers differ substantially each time. Frequent flyer programs work similar to on-demand charter flights, with the difference that you pay for a certain number of flying hours in advance that you then “fly off”. This way, you benefit from cheaper prices than when booking individually and you save time when booking, since all your data has been saved. There is no difference between on-demand charter flights and frequent flyer programs regarding flexibility. Another alternative to the outright purchase of a private aircraft is fractional ownership, meaning that you share the aircraft with other owners. This way you are able to combine the advantages of your own private aircraft with lower investment costs. Both the costs for purchasing and the costs for the crew, operator, insurance, etc. are charged pro rata to the owners. In return, you will receive a set number of flying hours during which the aircraft is available to you. Have you considered your specific needs in detail? The idea of owning your own private aircraft sounds very enticing. It’s always available when you need it; you don’t have to make cumbersome bookings and you also determine the aircraft’s features. On the other hand you have a high investment and running costs that depend on the aircraft type and model. It is advisable to be open and honest to yourself about your flight travel patterns and to calculate which option is most suitable for you. Do you use private aircrafts for more than 300 hours yearly? Then you (would) have to seriously consider a purchase. 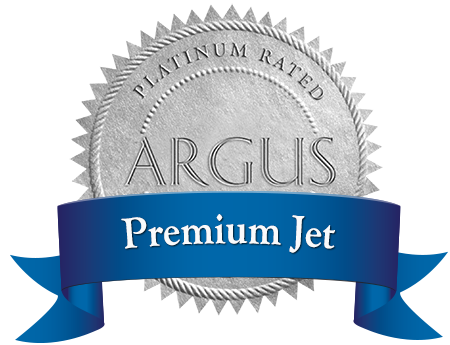 It is reasonable to get advice from an experienced operator such as Premium Jet as early as possible. We are familiar with the market and comprehensively present the different options with all their advantages and disadvantages to you. Moreover, we will prepare a budget and market analysis for you with which the expected costs are shown. It is useful to thoroughly (and honestly) analyze your flight travel behavior before purchasing a private aircraft. On-demand charter flights and frequent flyer programs are a good alternative solution for changing travel requirements. However, before you decide to buy a private aircraft, you should contact an experienced operator or consultant who will help you define your requirements and prepare a market analysis for you.